Here you will find links to Sony Alpha resources including: lens and accessory guides, pdf and online manuals, and current firmware versions and firmware updates for the most current Sony Alpha Cameras. 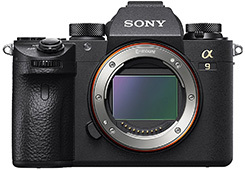 E-mount, 24.2-megapixel 35mm full-frame stacked CMOS sensor. Continuous shooting at up to 20fps. Fast Hybrid AF with 693 phase detection points. Touch Focus. 4k video. 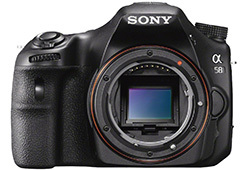 E-mount, 42.4-megapixel 35 mm full-frame Exmor R™ CMOS sensor. Continuous shooting at up to 10fps. Fast AF with 399 phase detection points. Touch Focus. 4k video. E-mount, 24.2-megapixel 35 mm full-frame Exmor R CMOS sensor. Continuous shooting at up to 10fps. Fast Hybrid AF with 693 phase detection points. 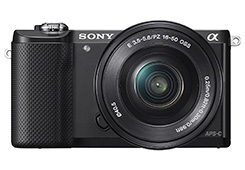 E-mount, 12.2-megapixel 35 mm full-frame Exmor® CMOS sensor. Supreme light sensitivity to ISO 409600. 169-point intelligent AF. 4k video. 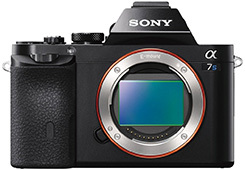 E-mount, 42.4-megapixel 35 mm full-frame Exmor R™ CMOS sensor. Continuous shooting at up to 5fps. AF with 399 phase detection points. 4k video. 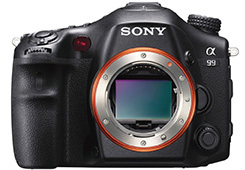 E-mount, 24.3-megapixel 35 mm full-frame Exmor® CMOS sensor. Continuous shooting at up to 5fps. Fast Hybrid AF with 117 phase detection points. 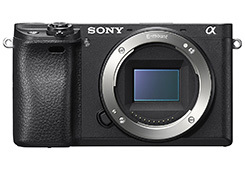 E-mount, 36.4-megapixel 35 mm full-frame Exmor R™ CMOS sensor. Continuous shooting at up to 4fps. AF with 25 contrast detection points. 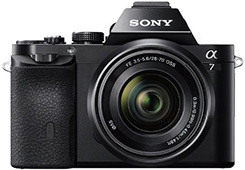 E-mount, 12.2-megapixel 35 mm full-frame Exmor® CMOS sensor. Light sensitivity to ISO 409600. 5fps. AF with 25 contrast detection points. 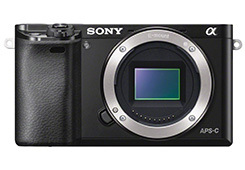 E-mount, 24.2-megapixel APS-C Exmor® CMOS sensor. Continuous shooting at up to 11fps. Fast Hybrid AF with 425 phase detection points. Touch focus. 4k video. E-mount, 24.2-megapixel APS-C Exmor® CMOS sensor. Continuous shooting at up to 11fps. Fast Hybrid AF with 425 phase detection points. 4k video. 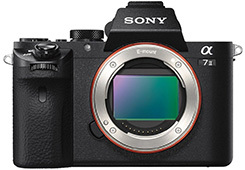 E-mount, 24.3-megapixel APS-C Exmor® CMOS sensor. Continuous shooting at up to 11fps. Fast Hybrid AF with 179 phase detection points. 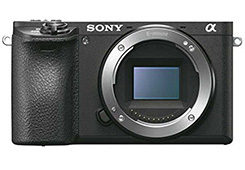 E-mount, 24.3-megapixel APS-C Exmor® CMOS sensor. Continuous shooting at up to 6fps. Fast Hybrid AF with 179 phase detection points. E-mount, 20.1-megapixel APS-C Exmor® CMOS sensor. Continuous shooting at up to 6fps. AF with 25 contrast detection points. 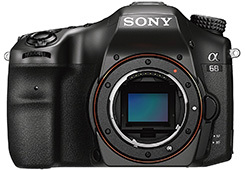 A-mount, 42.4-megapixel 35mm full-frame back-illuminated image sensor. Continuous shooting at up to 12fps. AF with 399 phase detection points. 4k video. 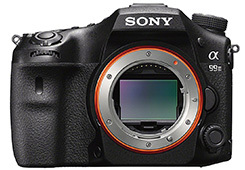 A-mount, 24.3-megapixel 35 mm full-frame stacked CMOS sensor. Continuous shooting at up to 10fps. AF with 19 phase detection points. 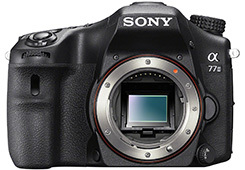 A-mount, 24.3-megapixel 35 mm full-frame Exmor® CMOS sensor. Continuous shooting at up to 12fps. AF with 79 phase detection points. 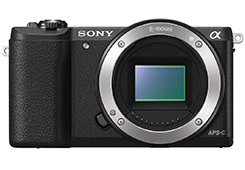 A-mount, 24.2-megapixel APS-C Exmor® CMOS sensor. Continuous shooting at up to 8fps. AF with 79 phase detection points. A-mount, 20.1-megapixel APS-C Exmor® CMOS sensor. Continuous shooting at up to 8fps. AF with 15 phase detection points.